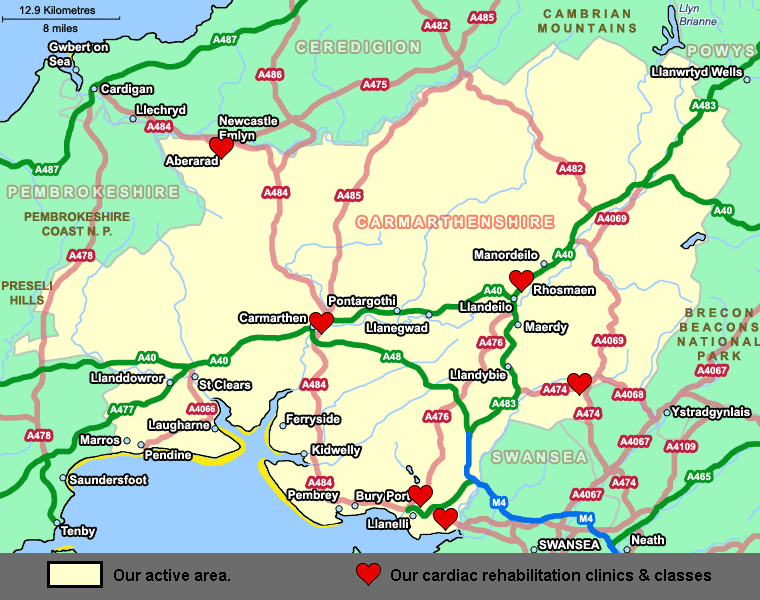 We have been operating since 2001 supporting the work of Carmarthenshires Cardiac Rehabilitation Service which operates out of both Glangwili Hospital in Carmarthen and Prince Phillip Hospital in Llanelli. We operate throughout the whole Carmarthenshire. Initially the Charity was called the Cardiac Rehabilitation Building fund. We recently raised £350,000 for a purpose built unit that we occupy today. After in-depth consultations a new plan was proposed with the Welsh Assembly Governments support to build the current Cardio-Respiritory Unit. The Charity initially started with stalls at county shows, bingo, raffles and bottle stalls, before expanding into triathlons, boot sales, quizes and sponsored walks. You don’t need experience just some free time and enthusiasm!